Like any good craftsman, a digital marketer needs tools to perform to the best of his abilities each day. Through the years working in marketing, I’ve tried and tested a lot of tools. Some bad, some good and a very few extraordinary. I’ll focus on the latter group today and hope this essential selection will help you do things better, quicker and more efficiently. A digital marketer these days wears many hats: some of us are content marketers, others focus solely on SEO, but some marketers, especially in SMEs and startups, they do it all. That’s why I’ve chosen tools to help you at every aspect of a digital marketer’s job. We’ll start with content marketing tools, going from content creation to the SEO optimization of that content, followed by e-mail and social media marketing tools. Don’t write more content, write better content. 2 million blog posts are being published every single day. So during the time, it took you to read up to here, about 1000 new blog posts saw the light. Unfortunately, 99% of them will never get to shine. Because they don’t add value or stand out. Of course, standing out is easier said than done. Luckily, there are a few things you can do to turn the odds in your favor. The first thing you should do is find something to write about. But not just anything, I see a lot of content marketers that have an idea and immediately start writing. I believe there’s something else you should do first. In this day and age, there’s so much data available. So getting an estimate of the potential success of your article BEFORE you write it is a must. In Feedly, you can follow all your favorite blogs in one space. No need to go visit them all one by one. Feedly has a paid plan with a bunch of extra features, but I’ve managed just fine with the free version. This tool does a little bit more than just show topic popularity. It will tell how many backlinks an article has and more importantly, where they came from. Awesome for link building. Because guess who makes a great audience to reach out to for link building? People who have already shared similar content, that’s who. Buzzsumo offers a free 14-day trial, after that, you’ll need a paid plan. It’s not the cheapest at 99$ per month. If link building is not your top priority, you might want to give this one a pass. Both Feedly and Buzzsumo are great to discover popular topics. But for more in-depth analysis we use Google’s Keyword Planner. This free Google Adwords tool is developed to discover additional keywords to advertise on, but I also use it to give me a nice idea about the search volumes for the topics I found with Feedly or Buzzsumo. Just type the keywords and it will tell you the average monthly searches and the level of competition. Using these insights will give you an idea of the potential audience for your topic. A great tool with a ton of features. The main features relevant to us are those which offer an estimated monthly search volume, a keyword competition indicator in Google SERPs and a variety of SEO features to optimize your website on- and off-page. You get a lot of bang for your buck, but at 99$ per month, it’s not the cheapest. Now we’re all set to start writing about that amazing topic you just discovered. Here are some great tools to help you with the writing process. Nothing is more embarrassing than a typo. Enter Grammarly. This free Chrome extension will filter out any mistakes straight away. Which comes in handy when you’re working directly in WordPress or preparing the final version to go live on your site. With the paid version you can detect more advanced mistakes, but, especially for native speakers, the free version is quite sufficient. Once it’s written, it’s time to add some flavor to your article. There are many ways to go about it: Librestock, Unsplash, and Giphy are all great resources to find free images and GIFs and spice up your piece. But if you want a little bit more personality I suggest Canva. This intuitive tool will allow you to create your own designs, whether it’s for your article, social media or just to do some basic photo editing. It has a free version, but for professional use, I suggest the paid version. At 12.95$ a month. It really is a bargain. Most people in the start-up or freelance world will be familiar with this one: Upwork. Still, I often encounter SMEs who could benefit hugely from this platform, without even knowing it. Whether it’s for content marketing or web design, you’ll find the best-cheapest-fastest (pick two) man for the job. 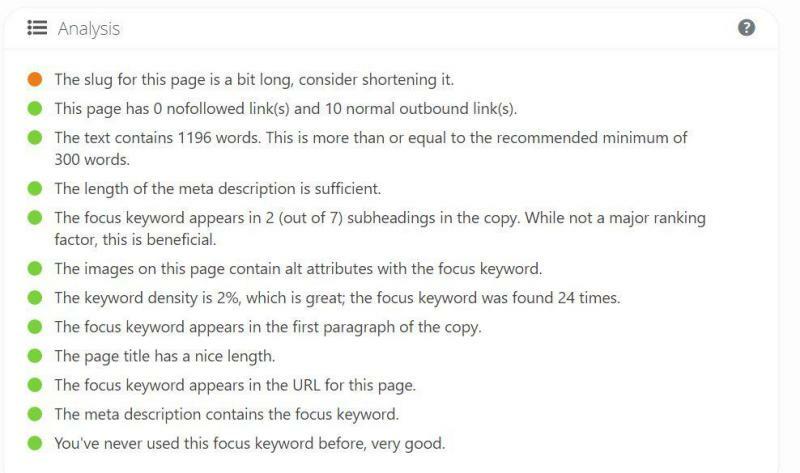 From experience, I know you can get a fully SEO optimized 800-word article in perfect English for 50$. A very similar and often cheaper, but in my experience also less qualitative platform is Fiverr. In my opinion, it’s more suitable for easy, repetitive tasks, such as email collection or image creation. Most tasks cost 5$, hence the name Fiverr. HARO, short for Help A Reporter Out is free and can be used in two different ways. You can use it to contribute to other articles and become more known in your niche. Or you can use it to get experts’ thoughts on your topic. It’s an easy way to crowdsource your article. It’s a free platform, unfortunately, the return isn’t always there. Content doesn’t necessarily have to be an article. Did you know theNew York Times most shared piece of content of 2013 was a quiz? But you’re not familiar with making quizzes? That’s where the One-Click Quiz Maker comes in. From time to time it’s interesting to shake things up and do something different. And different doesn’t have to mean hard! Simply put in any topic you want to create a quiz about and the tool does the rest. This WordPress plugin is an absolute must for digital marketers. It will tell you immediately how SEO optimized your article is. And, more importantly, it will tell you what to do to improve it. Now that your masterpiece is ready, it’s time to move on to the final part. Oh, you didn’t think writing it was enough, did you? Just letting it sit there and hoping traffic will come is doomed to fail. Time to get your piece in front of as many (relevant) eyeballs! This last set of tools will help you do just that. 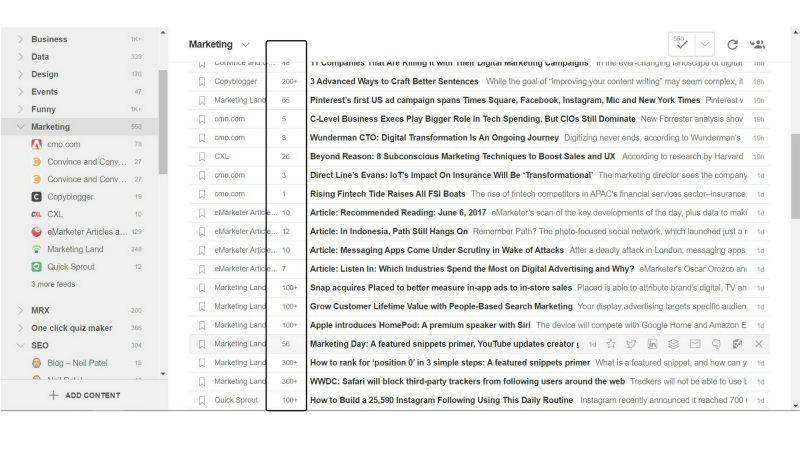 Email marketing tools every marketer should use. 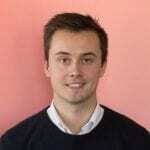 Turn your email marketing into a machine with Mailshake. This awesome tool allows you to set up, schedule and follow up your cold outreach campaigns, metrics to evaluate your campaigns included. This email tool will set you back 9$/month per user, which makes it a great addition to your list of SME marketing tools. Probably one of the most well-known tools on this list. Everyone starts small. But with the right resources, you can execute big plans. MailChimp’s features are powerful, but at a price point that works for anyone. You know your business. They’ll help you grow it with their email marketing tool. The cost varies on the size of your mailing list, if you have less than 2,000 subscribers, you can send up to 12,000 emails for free. I’m not sure on the formula, but to give you an idea: my mailing list has a little over 10K subs, and I pay about 120$/month. Just surf to any website, press the hunter extension icon, and it will scan the site for emails with the same domain and give you a list. Rapportive, on the other hand, will enrich that email address with information from Linkedin. Very handy in B2B communication to evaluate possible leads. These two chrome extensions will help you find and verify email addresses. And they go well together like Batman and Robin. Another well-known tool. This social media marketing tool allows you to easily schedule and create your posts across all social media channels. 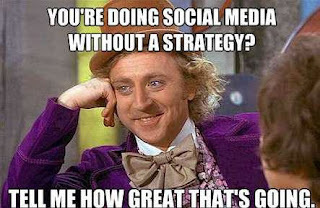 Especially for SMEs with a limited budget to spend on social media, Buffer is a great tool to manage all your social media channels on one platform. Create all your posts in one go and you can forget about social media for the week. And at 102$ a year it’s very competitively priced. That’s it, folks! I personally use these tools on a weekly basis and recommend every single one of them. Depending on your business needs, your mileage may vary, but I’m confident there’s at least one tool that will be valuable to your marketing. 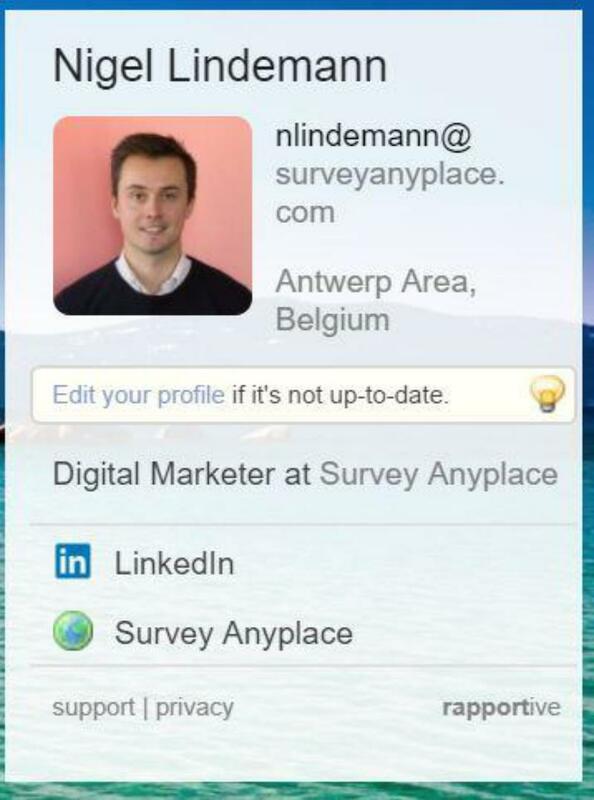 Nigel Lindemann works as a digital marketer at Survey Anyplace.